This lemon frosting recipe was given to my mom years ago. She always uses it when she makes butterfly cupcakes and to layer vanilla cakes. It is really tangy and tasty. To make orange frosting, mom adds orange juice instead of lemon juice. Mix egg yolk, orange rind and lemon juice and stir until well combined. Gradually stir in sifted confectioners sugar until it is a good spreadable consistency. You may need more or less confectioners sugar to get the consistency you require. 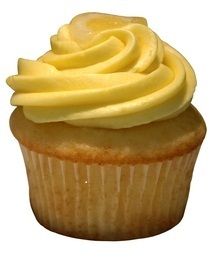 Thanks so much for sending in your lemon frosting recipe. I love lemon cake or cupcakes with lemon frosting - sometimes a little whipped cream as well.